One of my favorite flavor combinations in the world is tomatoes, fresh basil and mozzarella cheese. It works. Caprese salad is probably the most recognizable way to enjoy these ingredients but they multi task like nobody’s business. Try them on pizza, in pasta, on toast and yes even in quiche. Quiche is also a workhorse of a dish. What does that mean? It’s good served hot or cold and it’s great for breakfast, brunch, lunch or dinner. You can’t say that about too many dishes now can you. Quiches couldn’t be easier to make. You can use a refrigerated pie crust as a time saver (raising hand) or you can use a homemade version, completely up to you. This quiche is vegetarian (hello Meatless Monday Menu) full of protein and packed with flavor the whole family will love. I’m happy to be part of the Darling Dozen Blogger Team for Davidson’s Safest Choice Eggs where I create and share egg-cellent (couldn’t help myself sorry. Okay not sorry.) recipes. I don’t have to worry about my eggs because I know when I use Davidson’s Safest Choice Eggs they’re SAFE. “Davidson’s Safest Choice® Eggs are pasteurized in an all-natural, gentle water bath pasteurization process to eliminate the risk of Salmonella. The vast majority of eggs sold in grocery stores are NOT pasteurized. Safest Choice™ offers peace of mind when making recipes calling for raw or undercooked eggs, and removes the worry of cross contamination. Disclaimer: This post is sponsored by Safest Choice Eggs. I am an ambassador for Safest Choice Eggs and part of the Darling Dozen. I was compensated for my time. Opinions are 100% my own. This is such a great looking quiche! Can’t wait to try! Beautiful ingredients! My husband will love this. You know the way to my heart with flavors! Look at that beautiful slice of quiche! I love caprese EVERYTHING and this beauty is bookmarked for Easter brunch! LOVE! ohhh how fancy! This looks divine. Love this, Paula! Gorgeous and full of flavorful! This is so yummy and perfect for a Sunday brunch! Two of my favorite things! Caprese and quiche! Really gorgeous. This looks so good.. Love all the flavors. I like the term you used—that a quiche is a work horse because you can eat it hot or cold. Plus it microwaves so easily. It makes a great lunch to easily take to work in lieu of another workhorse, the sandwich. Also a very appropriate dish with it’s sunny yellow spring color. Gorgeous quiche. These are my favorite flavors too. I look forward to trying this. This looks, sounds and, I know, IS wonderful Paula. Love those ingredients too, in every shape, form and size! Such a brilliant idea! 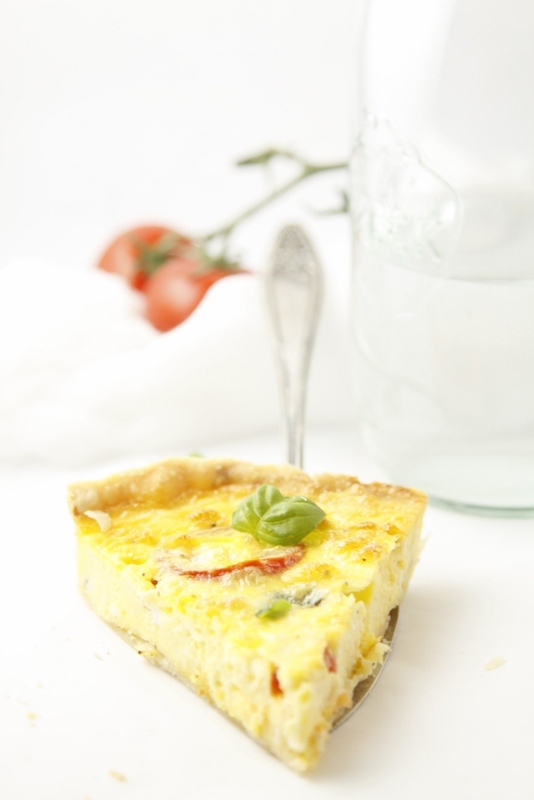 Love quiche and love caprese salad…why didn’t I ever think of putting the two together? Brilliant. Absolutely brilliant. This is going on my menu STAT. How can you go wrong with this?! I’d eat this morning, noon, or night! What a great combination! love this! I just made quiche on Sunday! Love this mash-up combo. Perfect for Spring brunch tables – yum! Oh my oh my oh my. This is one gorgeous quiche, Paula. I love the flavour combo! I totally agree about the flavor combination of tomato, basil & mozzarella. Adding a pie crust ot the mix makes it even better. Oh my yum!!!! This sounds and looks so good!! I love an easy quiche for a good brunch idea 🙂 This would be great for Easter or Mother’s day coming up. I love quiche, Paula, and am on a sort of very long-winded life-long search to find the ultimate recipe (no soggy bottom, best ratio of eggs to milk/cream etc.) Maybe this is it!! 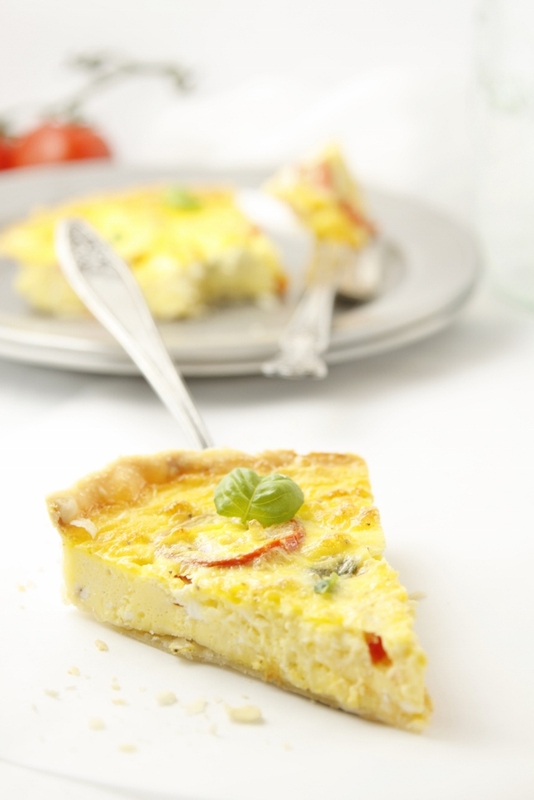 Great idea to make a quiche with caprese flavours! 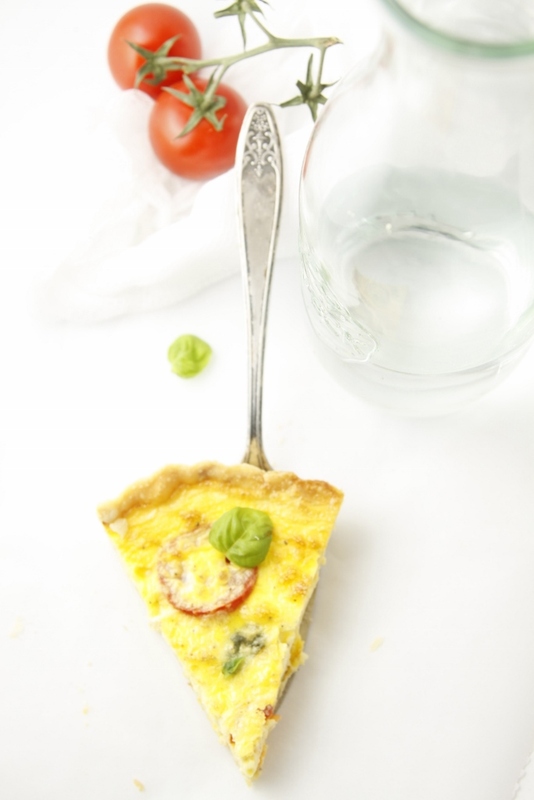 I love caprese (such a great combination of flavors) and I’m always up for a slice of quiche! Love this! I love caprese everything! I also ALWAYS have to throw little tomatoes into my quiches! OOh, one of my favorite salads collides with one of my favorite foods. You’ve hit on all my favorites, including a savory breakfast for me. I love, love, love the combination of tomato, basil and mozzarella, and truth be told, I could eat eggs every day. When THEY tried to tell me they were bad for me, I said, ‘pffft.’ I was right, THEY were wrong! Eggs are fantastic. Eggs in a caprese quiche are amazing. I think I will make that wednesday? But what kind of wine? I love caprese salad and love quiche so this looks like a must-try dish! Thanks for sharing!